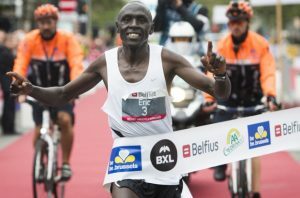 Athlete from Kenya Eric Kering won Belfius Brussels Marathon on Sunday. 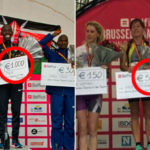 The Kenyan has demonstrated his personal best time of 2 hours, 16 minutes and 50 seconds. 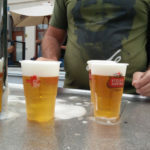 Belgian runner Willem Van Schuerbeeck finished in second place. 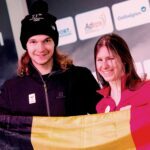 In the women’s competition, Belgian runner Virginie Vandroogenbroeck came out the winner. 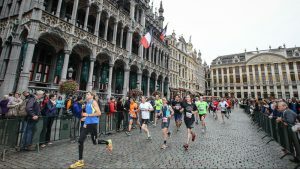 The 13th edition of the Belfius Brussels Marathon and Half Marathon on Sunday was a great success, drawing some 12,500 runners from 61 countries to the European capital. 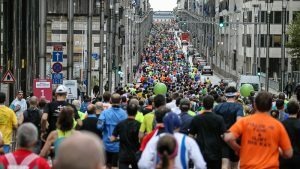 With more than 7,000 participants, the half marathon was the most popular run.